John McGahern was born on the 12th November 1934, he was the eldest child of seven. Raised alongside his six young siblings on a small farm in Knockanroe, McGahern's mother Susan McManus ran the farm whilst maintaining her job as a primary school teacher at the local school. His father, Frank McGahern was a Garda sergeant, at Cootehall in County Roscommon, and lived in the Garda barracks some 20 miles away from his family at the time. McGahern's mother subsequently died of cancer in 1944, when John was just ten years old resulting in John and his six siblings moving to their new home with their father in the aforementioned Garda barracks, Cootehall. 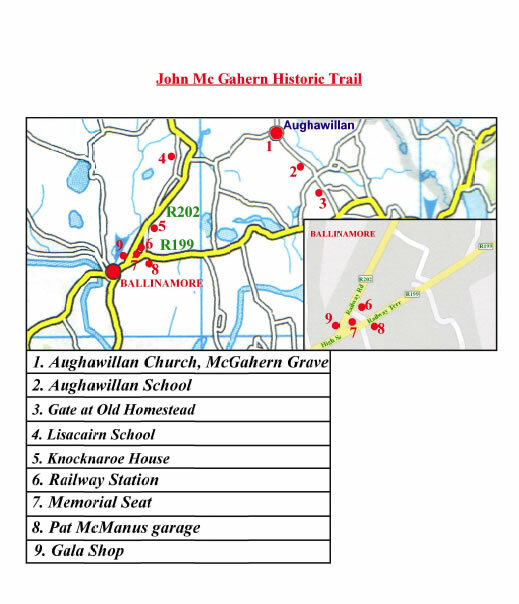 In the years following his mother's death, John Mc Gahern completed his schooling in the local primary school, and ultimately won a scholarship to the Presentation Brothers secondary school in Carrick - on Shannon. Having travelled daily to complete his second level education, McGahern continued to accumulate academic accolades by winning the county scholarship in his Leaving Certificate enabling him to continue his education to third level. Following on from his second level success, McGahern was offered a place at St Patrick's College of Education in Drumcondra where he trained to be a teacher. 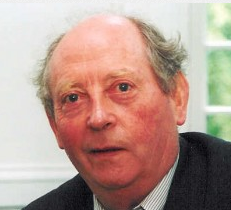 Upon graduation from third level education, McGahern began his career as a primary school teacher at Scoil Eoin Báiste (Belgrove) primary school. Before returning to third level education in University College Dublin where he graduated in 1957. In 1962, John McGahern was awarded the prestigious AE Memorial Award from the Arts Council for an extract from the novel The Barracks, which would be published the following year by Faber and Faber. McGahern was awarded The Macauley Fellowship after the publication of the book; allowing him to take a year off teaching and travel around Europe. His next novel The Dark published in 1965 was banned in Ireland by the Censorship Board, leading to his dismissal from his teaching post in Clontarf. John McGahern left Ireland and spent a number of years in England, France and the United States. He was employed in various capacities including Research Fellow at the University of Reading in 1968 and visiting Professor at Colgate University, New York in 1969. His first collection of short stories Nightlines was published in 1970, some of the stories had been published in The New Yorker, Atlantic Monthly and The Listener. After the publication of his novel The Leavetaking in 1974. John McGahern returned to Ireland with his second wife Madeline Green and purchased a farm in County Leitrim. Over the following years McGahern divided his time between the farm in Leitrim and temporary posts including further spells in Colgate and as writer in residence in University College Dublin and Trinity College Dublin. John McGahern continued to write short stories and novels, That They May Face The Rising Sun, was his last novel, published in 2002. John Mc Gahern is regarded as one of the most important Irish writers of the latter half of the twentieth century. The Observer hailed him as "the greatest living Irish novelist" before his death in 2006 at the age of 71, word of his death was broadcast across Ireland and the world. "My favourite optimist was the American who jumped off the Empire State Building and as he passed the 42nd floor, the window washer heard him say 'So far, so good"
The McGahern family acquired a house and small farm at Corramahon where McGahern's mother Susan and her children moved. The short few years in Aughawillan before her final illness were to prove extremely pleasant for McGahern. The trauma of her death and his parting from the world of Aughawillan were to remain with him forever. Susan McGahern taught school here for many years and McGahern was taken here when he was well below the official school age. The move was to take him away form Frank McGahern’s mother (his grandmother) and thus started the very close bond between McGahern and his own mother. This seat was erected by the Ballinamore Tidy Town Committee in 2009 in memorial of John McGahern. In later years Pat moved across the road and set up a garage and petrol station. Here John McGahern spent many hours chatting to Pat and all the other characters that called to the garage (Pat McManus was the character The Shah in That They May Face The Rising Sun). This was a shop and boarding house which was run by McGahern's Aunt Maggie. She would have kept many boarders from the railway station. His aunt and uncle played a large part in McGahern's life. John McGahern a member of the Irish Arts honorary organisation Aosdana won many awards including the Chevalier dans I' Ordre des Arts et des Lettres.